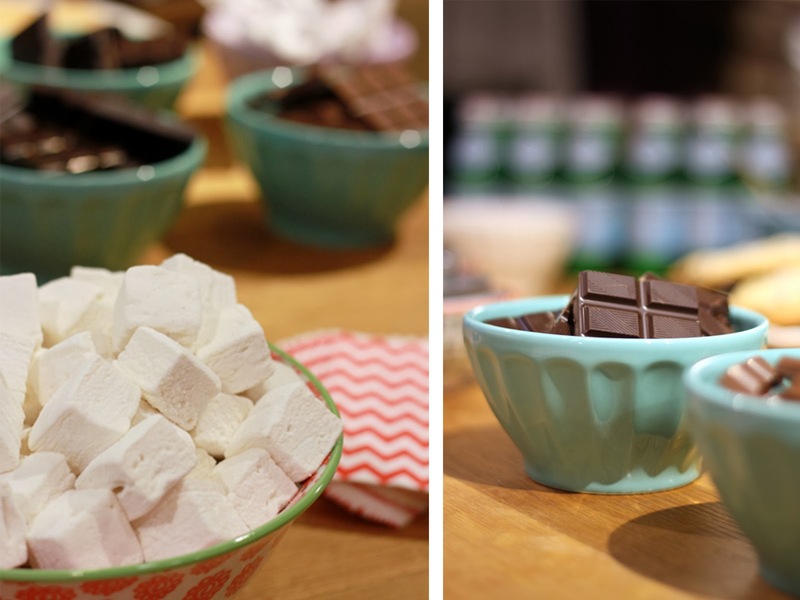 This past weekend, Anthropologie in Reston, VA held a Birthday party for all March birthdays. Although I only work there a couple days a week as Personal Stylist, I take great pride in the brand. A few of us working at the store were in charge of party planning and it was a complete success, If I do say so myself! One of the most exciting parts of the party for me was illustrating some new Spring merchandise. Being able to tie in two of my greatest passions- Personal Styling and Fashion Illustration- was a momentous moment for me. I thought I’d share the illustrations throughout the week so I can give you a chance to shop their looks. dress. lipstick. sandals. hot pink peonies. blush peonies. Here is a peek into the party. We had a s’mores bar (which we hovered over the entire evening…) Delicious blood orange cocktails, macaroons and a cheese tray for guests to snack on. 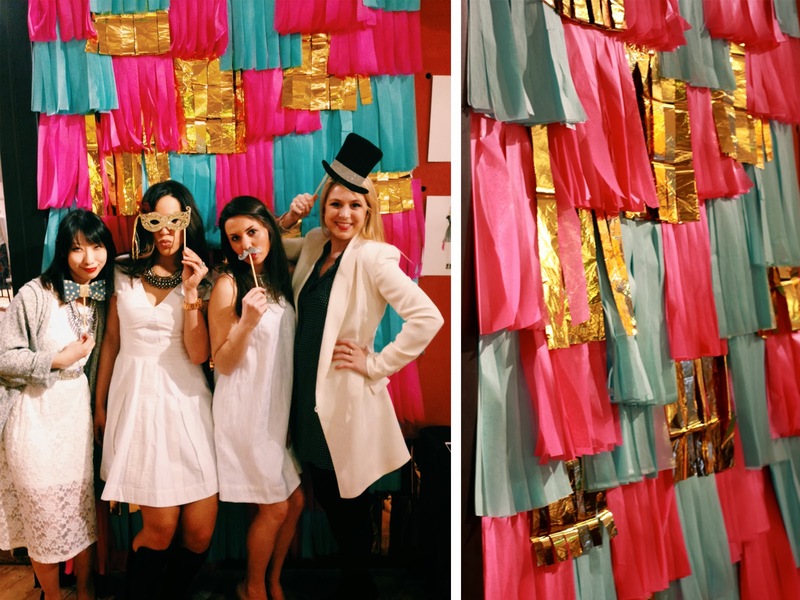 We created a backdrop of tissue paper to acts as a photo booth wall and snapped our guests with a Polaroid camera for instant gratification. Celebrating the women of our store and making them feel beautiful is always the goal, so this night was really something to remember. Looks like so much fun! Love all the white dresses. Your illustration is beautiful! 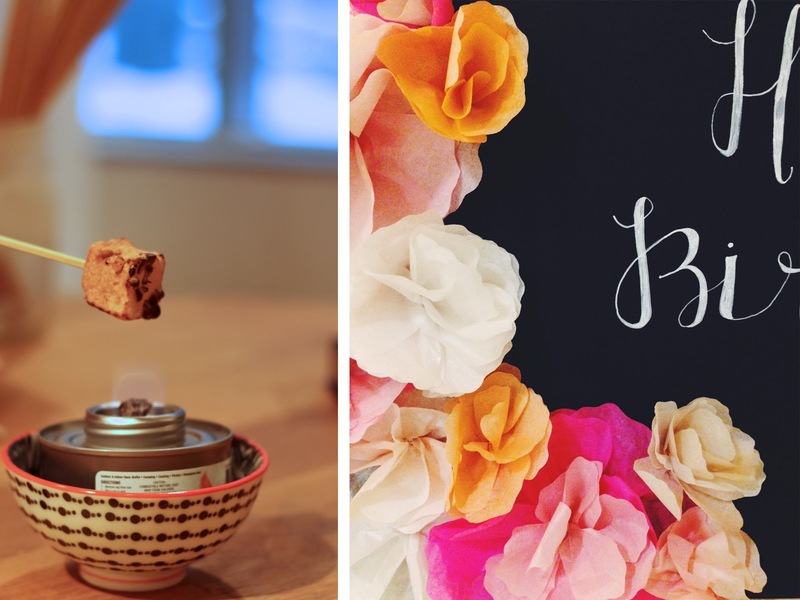 I always love your pretty pictures! !